Welcome to the DOČASKY.cz, z.s. We are changing the lives of canine homeless. What one man goes wrong, another needs to be rectified. We provide temporary care to dogs who (for any reason) have lost their owners. Most often because the original owner gave up. We find them new, better families, because the dog is to be the best friend of a person, not a homeless person. We give them a sense of security and the certainty that they care about them. They are not just a fashion accessory or a selling item..
For the dogs we have taken, we have also taken responsibility. Taking care of them requires a lot of time, energy, skills, experience and last but not least finance. That's why the shop was born - to support dogs looking for home. 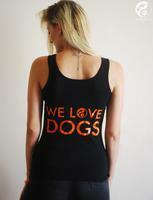 Shop in our e-shop for yourself or your dog friend and in addition help to improve the life of other dogs. You consent to the processing of your personal data for DOČASKY.cz, z. s. for the purpose of sending business communications (marketing offers) and doing other marketing activities to your person. You may withdraw your consent at any time, and the commercial communication will not be sent to you any further. For more detailed information about processing your personal information, please see the link above.